Storms, depending on their intensity, can cause damage to your roof. Thankfully, there are ways to lessen or even prevent storm damage from occurring on your roof. It all boils down to one thing: preparation. Preparing your roof for an incoming storm is crucial to your home’s safety and structural integrity. Damaged roofs can lead to more problems, causing you both time and money for repairs. Thankfully, even the simplest of preparations can help protect the roof that protects your home. Inspect your roof for any signs of damage and have a professional attend to them if they need repairs. Even the smallest of roof damages can grow big in the event of a storm, so have your roof checked before a storm comes. Clogged gutters can lead to various kinds of problems such as roof leaks and structural damage. Your residential roofing company advises removing all debris that might clog your gutters and prevent them from draining your roof during a storm. Trees can cause serious damage to your home in the event of a strong storm. Make sure to cut away overhanging branches that can fall on your roof. Trimming off leaves also helps prevent strong winds from uprooting trees and causing them to fall. Go around your property and check for items that can be blown away by winds and damage your roof. These include outbuildings and sheds, as well as small items such as outdoor furniture and grills. Make sure you use the best roofing material. High quality roofing materials, properly installed, will ensure maximum protection against storms. If roofing problems can be prevented, then it’s worth taking extra effort to prevent them from happening. Following these instructions can help save you money on roof repairs and help you have peace of mind during a storm. Make sure to have a trusted roofing company to assist you when storms come. Call us at (317) 207-4778 or fill out our contact form for a free estimate or inspection. 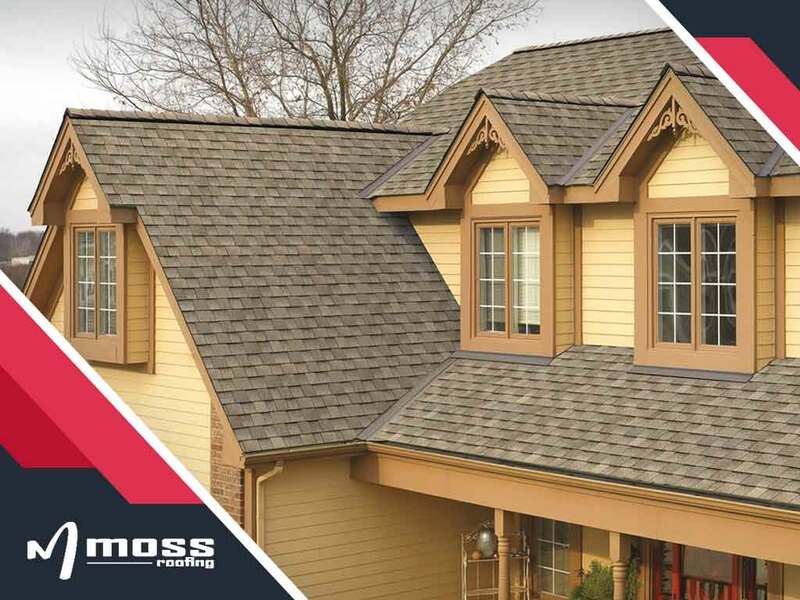 Moss Roofing is the recognized residential roofing expert in Noblesville and Indianapolis, IN.